In majority of the regions, Tulsi leaves are not offered to Ganesha. But in some regions Tulsi is offered during Ganesh Chaturthi Puja. There is a story which narrates why Tulsi is not offered to Ganapati. This story happened before Tulsi became a holy plant on earth. Legend has it Tulsi was a beautiful maiden and she was once visiting various Teerths (sacred places) chanting the name of Narayana. Once she happened to see young Ganesh meditating on the banks of Ganga. She was attracted by him. Devi Tulsi tried various means to get the attention of Ganesha. Ganesha who was disturbed by Devi Tulsi tried to find out the reason for her behavior. He also tried to make understand that it is not good to disturb a person who is meditating. Devi Tulsi then requested him to marry her. But Ganesha told he was not interested in marriage. She tried several times giving various reasons. Ganeshji was not impressed and continued to ignore her. Finally, He advised her to marry someone else. This angered Devi Tulsi and cursed Ganesha that he will surely get married in future. 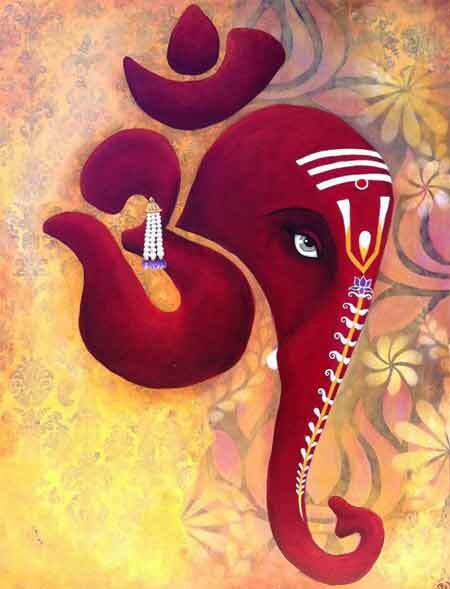 For disturbing his meditation and cursing Him, Ganesha cursed her to live in the home of demons and to become a plant. Devi Tulsi then requested Ganesha to forgive her as she was under the influence of senses. Ganesha relented and told her that she will become the favorite plant of Krishna on earth. Tulsi later was married to demon Shankhachuda. She later became the Tulsi Plant. It is due to this incident that Tulsi is not offered to Ganesha. Note - Tulsi leaves are offered in many regions on Ganesh Chaturthi.